Mr Turnbull was deeply affected by the recent death of Northern Territory teenager Amy “Dolly” Everett, who took her own life after she was bullied online. 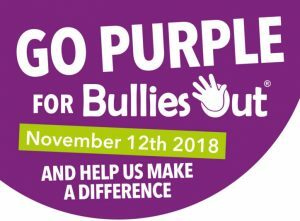 Mr Turnbull sent the letters to all schools to urge them to get involved in this month’s national day of action against bullying to try to prevent similar tragedies*. “We believe all students have the right to be safe at school. Bullying and violence has no place in Australia,” the Prime Minister wrote. Mr Turnbull listed examples of schools holding events to help students support their friends, while others are planning “pledge walls” for students to promise to make their classrooms free from bullying, as well as poster competitions and mural walls. “While schools and educators have a key role to play in tackling bullying, we also know the important role parents and families play,” the Prime Minister said. Education minister Simon Birmingham said that as a father of two young daughters, stories of schoolyard bullying horrified* him. “We want to make sure that schools are better equipped in terms of their capabilities* to deal with these issues,” he told Nine News. The government’s national day of action seeks to target both “old-fashioned schoolyard bullying” as well as cyberbullying. “The reason to do that is to make sure that school communities, teachers, parents and students, are all … talking about what resources are available to them to tackle bullying,” Mr Birmingham said. The Federal Government yesterday announced an extra $1.3 million to support the anti-bullying day of action on March 16. In the wake of Dolly’s death, Mr Turnbull said his “heart breaks” for her family. “From pain and loss we must renew our commitment to say no to bullying,” he said at the time. “Every step must be taken to ­reduce the incidence of bullying, whether offline or on,” Mr Turnbull said. Already, more than 2300 schools around the country have signed up for for the anti-bullying day of action.